PER LA MAR VIVA (PLMV), a small organisation, founded on 8th November 2017 after a number of years researching and observing the amount of plastic ending up in the sea at Ciudadela Harbour and around Menorca’s coast. Its founder, Carlos Salord, a local physiotherapist, has been moved to start-up this non-profit association after years of seeing the complacency to change the situation. Per la Mar Viva’s aim is to educate, public administrations, business, private organisations and individuals in order to reduce any waste ending up in Menorca’s waters via an excellent waste management system and this way contribute to the reduction of plastics being found in the sea and on our coastline. In this proposal the area of interest is environmental education in Menorca’s secondary schools in order to change young people’s habits when it comes to disposing of their waste, in particular after street parties, picnics etc. 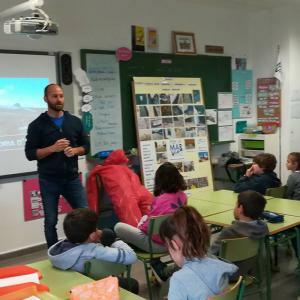 This educational project, directed at young people with the aim of getting them to understand the consequences of their actions when it comes to waste management, is part of a wider project which is liaising with local business, public administrations and government bodies to address the big problem of plastics ending up in the sea and along Menorca’s coastline. 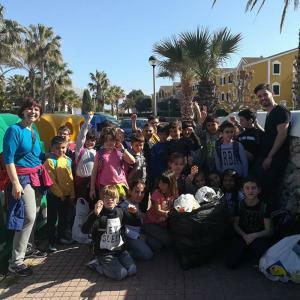 The general project objective is to make young people take responsibility for their own waste by educating and raising awareness amongst Menorca’s schools. In particular, there will be a focus on the waste they produce in society (outdoor parties, picnics etc. ), the consequences of not dealing with it properly and how they can avoid this waste ending up in our seas. Carlos has proposed specific solutions to each organisation depending on their responsibility and involvement and is working alongside them to put measures in place. However, having started this aspect of the work, PER LA MAR VIVA realises that a large part of making a change is getting students and young people to understand the problem and change their behaviour. 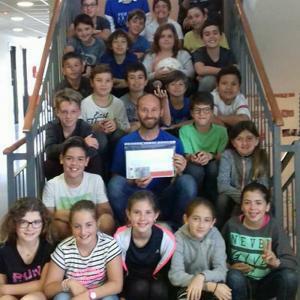 Therefore, this aspect of the project focuses on sharing his experience, knowledge and informative documentary with all children in school in Menorca from the ages of 11 to 18. The preparation for the project is complete therefore PER LA MAR VIVA aims to have all lectures done by the end of term 2018. The overall project is ongoing with meetings with local businesses being held weekly to find solutions – such as not using straws etc. and the educational side of this project has already begun with lectures in two schools already being completed during March 2018.